The Rev. Robert Jeffress, a leading evangelical minister, claimed last Friday that Mormons are not Christians. Jeffress went on to declare that Mormonism is "a cult," meaning it's not a "real" religion, and he implored his followers to reject Mitt Romney, a Mormon, as a candidate for president because as Jeffress sees it: "As Christians, we have the duty to prefer and select Christians as our leaders." 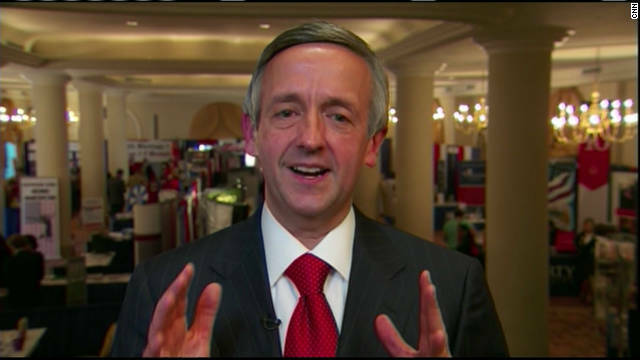 Jeffress is infamous for his past "Christian" comments such as: Jews, gays, Muslims and Mormons are all going to hell; Islam encourages pedophilia; and that gays should be banned from the military because 70% of the gay population has AIDS. At the time of Jeffress' comments about Mormons, I happened to be in Utah, the state with the largest percentage of Mormons in the nation. I'm not Mormon, meaning I'm not a member of the Church of Jesus Christ of Latter-day Saints. What They're Saying About "Us" Politics & ReligionPolitics & Religion,What They're Saying About "Us"